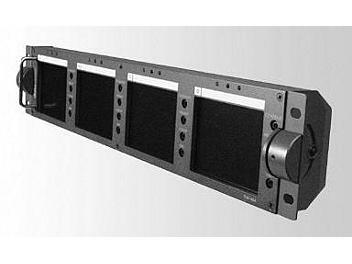 19" rack mountable 4 x 4-inch LCD monitors panel. 19" Rack Mountable 2U Height. Tilt and Lock up to 90 degrees. Tally LEDs for each Monitor. Individual controls for color, tint, contrast, brightness.